David Moskowitz is a biologist, outdoor educator, photographer, and wildlife tracker. His forthcoming Braided River title, Caribou Rainforest: From Heartbreak to Hope, is due out this October. You can catch David in person at several upcoming events throughout the Northwest this fall and winter. — David Moskowitz in "Caribou Rainforest"
Dr. Richard Alley is the Evan Pugh Professor of Geosciences at Pennsylvania State University and author of The Two Mile Time Machine: Ice Cores, Abrupt Climate Change, and Our Future. He chaired the National Academy of Sciences/National Research Council panel on Abrupt Climate Change, which yielded Abrupt Climate Change: Inevitable Surprises. He has also participated in the Ice Core Working Group and the West Antarctic Ice Sheet and West Antarctic Ice Cores projects. Dr. Alley is an essayist for Planet Ice (Braided River, 2009). Indian-born artist-educator-activist Subhankar Banerjee uses photography to raise awareness of issues that threaten the health and well-being of our planet. Since late 2000, he has focused his efforts on indigenous human rights and land conservation issues in the Arctic. Born in India in 1967, Banerjee received his bachelor’s degree in engineering before moving to the United States, where he obtained master’s degrees in physics and computer science. Before starting his career in photography, Banerjee worked in scientific fields for six years, with Los Alamos National Lab in New Mexico and Boeing in Seattle. His first professional photographic project culminated in Arctic National Wildlife Refuge: Seasons of Life and Land. Solo exhibits of Banerjee’s Arctic Refuge photographs have been on display in over fifty individual and group exhibits in the United States and Europe, and published in over one hundred magazines and newspapers internationally. He has lectured extensively to educate the public about land conservation, resource wars, and cultural diversity issues. Subhankar has received many awards, including inaugural Cultural Freedom Fellowship from Lannan Foundation (2003), National Conservation Achievement Award from National Wildlife Federation (2003), Special Achievement Award from Sierra Club (2003), Housberg Award from Alaska Conservation Foundation (2002), and was named an Arctic Hero by Alaska Wilderness League (2010). Subhankar also received a 2012 Cultural Freedom Award from the Lannan Foundation. He has been a visiting scholar and artist-in residence at numerous institutions, including the University of Utah, Dartmouth College, Princeton and Fordham University. For more information on the artist and his upcoming exhibits and events, visit www.subhankarbanerjee.org. 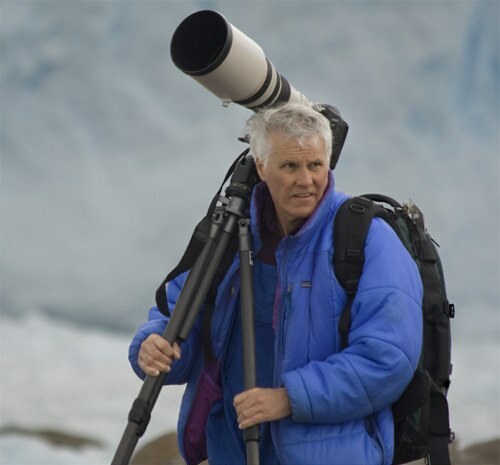 Paul Bannick is an award-winning author and wildlife photographer specializing in the natural history of North America with a focus on birds and habitat. Coupling his love of the outdoors with his skill as a photographer, he creates images that foster the intimacy between viewer and subject, inspiring education and conservation. Paul is the author and photographer of The Owl and The Woodpecker: Encounters with North America’s Most Iconic Birds (Mountaineers Books, 2008) and Owl: A Year in the Lives of North American Birds (Braided River, 2016). Visit Paul’s site to learn more. Rick Bass is the author of twenty-one books of fiction and nonfiction, including The Ninemile Wolves, The Roadless Yaak: Reflections and Observations About One of Our Last Wilderness Areas, The Diezmo, The Lives of Rocks, and most recently, Why I Came West: A Memoir. His stories have been awarded the Pushcart Prize and the O. Henry Award and have been collected in The Best American Short Stories. Bass is a board member of the Yaak Valley Forest Council, Round River Conservation Studies, Cabinet Resource Group, and Montana Wilderness Association. 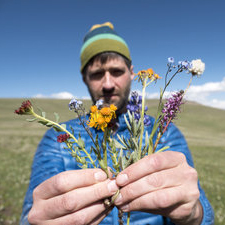 For nearly twenty years he has been active in the attempts to help protect the last roadless lands of the Yaak Valley—the lowest elevation, wettest habitat, and narrowest bottleneck of the Y2Y section of the United States. Known as Montana’s only rainforest, the Yaak still doesn’t have a single acre of designated wilderness. Rick Bass contributed "The Courage of Hope" to Yellowstone to Yukon: Freedom to Roam (Braided River, 2005). Frances Beinecke is president of the Natural Resources Defense Council (NRDC), one of the nation's most influential environmental action groups, which uses law, science, and the support of 1.2 million members and online activists to ensure a safe and healthy environment for all living things. Beinecke has been with the NRDC for more than thirty years, serving as executive director from 1998 through 2005. She received her bachelor's degree from Yale College and a master's degree from the Yale School of Forestry and Environmental Studies. Beinecke co-chairs the Leadership Council of the School of Forestry, serves on the advisory board of Yale's Institute for Biospheric Studies and the board of the World Resources Institute, and is a member of the steering committee of the Energy Future Coalition. Frances Beinecke contributed "A Climate for Change: Next Steps in Solving Global Warming" to The Last Polar Bear: Facing the Truth of a Warming World (Braided River, 2008). 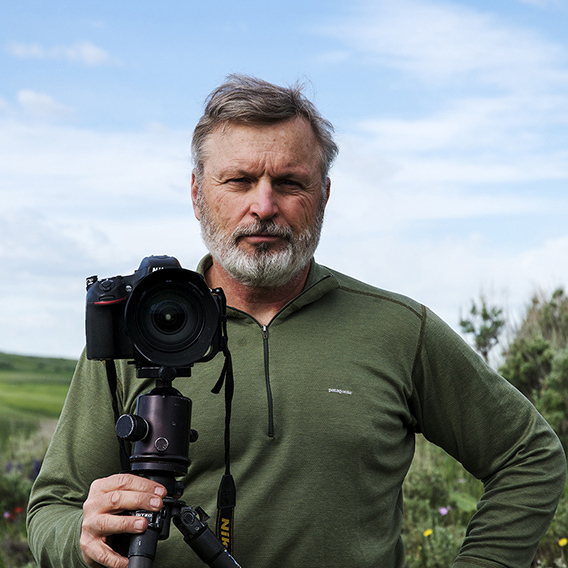 Gary Braasch is an environmental photojournalist whose images have been published in Time, LIFE, Discover, National Geographic, and Scientific American. 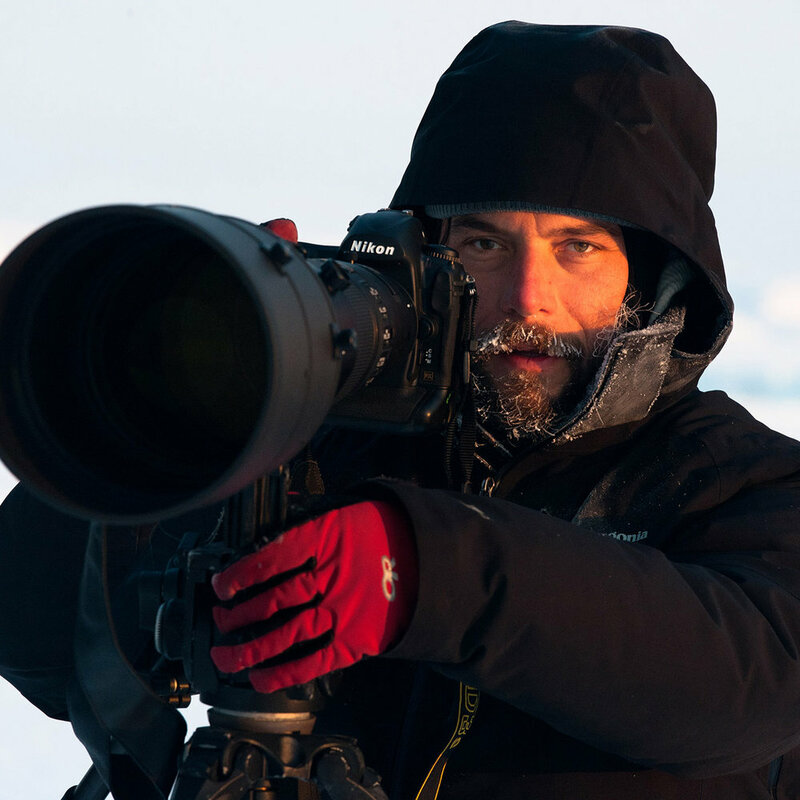 He has visited Alaska many times on assignment for Natural History Magazine, Audubon, BBC Wildlife, Smithsonian and a variety of international conservation groups. A founding member of the International League of Conservation Photographers, Braasch received the Ansel Adams Award from the Sierra Club and was named Outstanding Nature Photographer by North American Nature Photography Association. In 2010 he was named as one of the Forty Most Influential Nature Photographers by Outdoor Photography magazine. He is author of Earth Under Fire: How Global Warming is Changing the World, The Northwest, Entering the Grove and Secrets of the Old Growth Forest. For more information, visit www.braaschphotography.com. Stephen Brown, Ph.D., is the director of the Shorebird Conservation Research Program at the Manomet Center for Conservation Sciences and has studied shorebirds and their wetland habitats for twenty years. He received his doctorate from Cornell University, where he studied restoration of wetland bird habitats. Brown is the lead author of “The United States Shorebird Conservation Plan” as well as more than twenty peer-reviewed articles on shorebirds and wetland management. 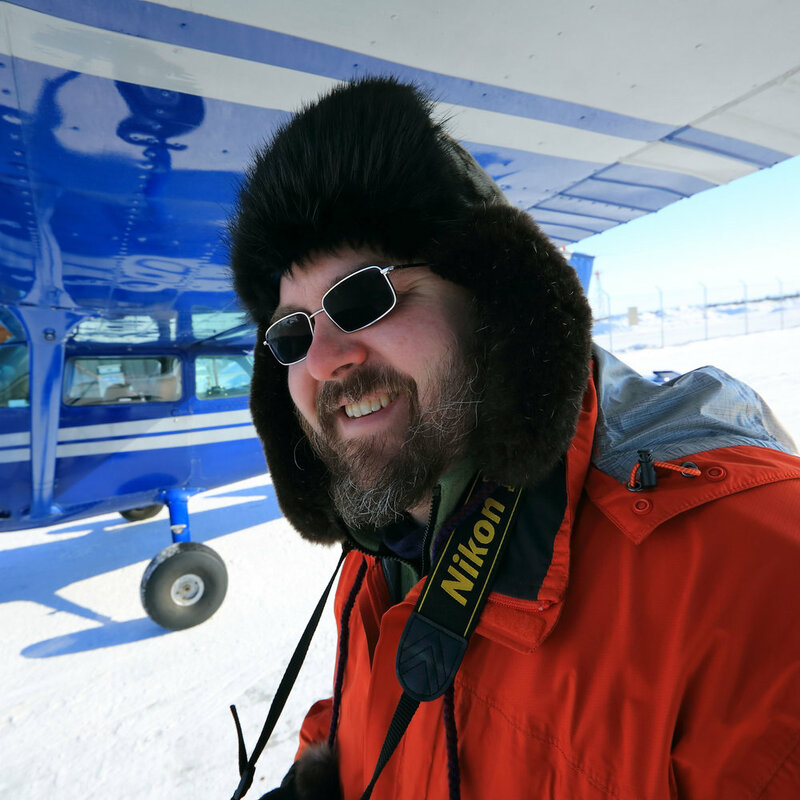 He conducts field studies on distribution and abundance of shorebirds in the Arctic National Wildlife Refuge and collaborates on other shorebird research and conservation projects throughout the country. Based in Manomet, Massachusetts, the Manomet Center for Conservation Sciences is one of the nation’s oldest independent environmental research organizations. Manomet uses science to bring people together and guide them in the development of practical strategies that improve conditions for wildlife, habitats, and people. Dr. Stephen Brown is the editor for Arctic Wings: Birds of the Arctic National Wildlife Refuge (Braided River, 2006). He contributed "Shorebirds: Imperiled Arctic Ambassadors" to the same title. To listen to one of his reports from the field, click here. Tom Campion has served on the board of Alaska Wilderness League since 1999. His fierce commitment to protecting wild public land in Alaska has inspired him to organize many trips to this remote region. Over the course of the past decade, he has made Alaska “come alive” to politicians, photographers, writers, and journalists, with numerous trips to the Arctic National Wildlife Refuge. Campion lives in Seattle, Washington, where he is founder and chairman of the retail chain Zumiez. Together with his wife, Sonya, he established the Campion Foundation to support the work of nonprofit organizations dedicated to protecting wilderness, ending homelessness, and strengthening nonprofits. Campion was a producer of To the Arctic 3D with MacGillivray Freeman Films. For more information, please visit www.AlaskaWild.org. 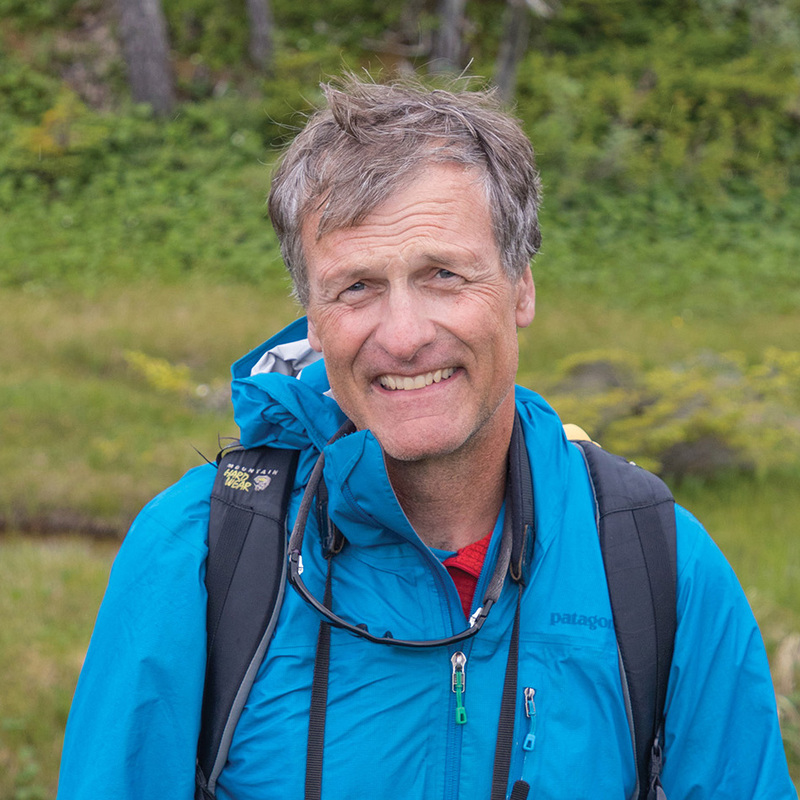 Richard Carstensen is one the Tongass's leading naturalists, with extensive experience noting the unexpected details of the forest’s creatures, trees, and topography. He assists the Sitka Conservation Society with landscape analysis and GIS. He is the lead naturalist behind their Landmark Tree Project and is a field leader for their Groundtruthing Project. Richard Carstensen is an essayist for Salmon in the Trees: Life in the Tongass Rainforest (Braided River, 2010). Jimmy Carter, the thirty-ninth president of the United States (1977-1981), advocated and signed the Alaska National Interest Lands Conservation Act, which celebrated its twenty-fifth anniversary in 2005. Carter has consistently opposed drilling for oil in the Arctic National Wildlife Refuge as fundamentally incompatible with wilderness. In 1982 he founded the Carter Center, a nongovernmental organization guided by a commitment to human rights and the alleviation of human suffering. He won the Nobel Prize in 2002 for his decades of effort in finding peaceful solutions to international conflicts, advancing democracy and human rights, and promoting economic and social development. He is the recipient of numerous other awards, including the highest awards of the National Wildlife Federation, The Wilderness Society, the National Audubon Society, and the National Parks Conservation Association. President Carter contributed forewords to Arctic National Wildlife Refuge: Seasons of Life and Land (Braided River, 2003) and Arctic Wings: Birds of the Arctic National Wildlife Refuge (Braided River, 2006). Born and raised in Chile, Gino Casassa received a hydraulics engineering degree from Universidad de Chile in 1984. During his early university years he became actively involved in mountaineering and developed a greater interest in frozen—rather than liquid—water. Consequently, he completed a Ms.Sc. in Geophysics/Glaciology in 1989 at Hokkaido University in Japan. In 1993, Casassa received his Ph.D. from Ohio State University, and from 1994 to 2002 he worked at Universidad de Magallanes in Punta Arenas, Chile, as an associate professor and the director for Antarctic Programs. Since 2002, he has been a researcher of glaciology and climate change at Centro de Estudios Científicos (CECS). He is currently a member of the Steering Committee of the Program on Antarctica and the Global Climate System (AGCS) of the Scientific Committee on Antarctic Research (SCAR) and the International Council of Scientific Unions (ICSU); a member of the Scientific Steering Group of the Project Climate and Cryosphere (CLiC) of the World Climate Research Project (WCRP) and SCAR; and vice president of the International Association of Cryosphere Sciences (IACS). He was awarded a Guggenheim Fellowship in 2005 and participated as lead coordinating author of Working Group II of the Intergovernmental Panel on Climate Change (IPCC), which was co-awarded the Nobel Peace Prize in 2007. Dr. Casassa is an essayist for Planet Ice (Braided River, 2009). Doug Chadwick contributed the introduction, "Y2Y: The Power of Connections," to Yellowstone to Yukon: Freedom to Roam (Braided River, 2005) and essays to Crown of the Continent: The Wildest Rockies (Braided River, 2014). He is also an essayist for Salmon in the Trees: Life in the Tongass Rainforest (Braided River, 2010). Yvon Chouinard, the founder of the outdoor equipment company Patagonia, is one of the pioneers of big wall and ice climbing and the author of Climbing Ice, the book that introduced modern ice-climbing technique to America. He is also an avid surfer, kayaker, fisherman, and falconer, as well as an outspoken proponent of mixing environmentalism and sound business practice. Yvon Chouinard is an essayist for Planet Ice (Braided River, 2009). Broughton Coburn has worked in the Himalayas for two of the past three decades. He has authored several books, developed documentary films, and overseen environmental conservation and development efforts for the World Bank, UNESCO, World Wildlife Fund, and other agencies. He has also contributed to New Age, Rock and Ice, The Denver Post Magazine, Co-Evolution Quarterly, Worldview, and other publications. 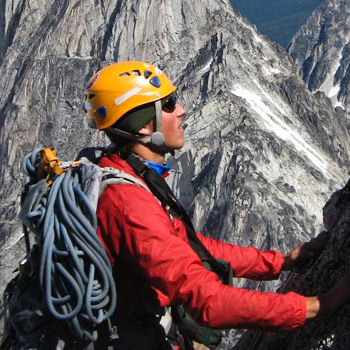 In 1997, Coburn was awarded the American Alpine Club's Literary Achievement Award for his body of work. His books include Everest: Mountain Without Mercy and Touching My Father's Soul: A Sherpa's Journey to The Top of Everest, a collaboration with Jamling Tenzing Norgay that was granted an Honorary Mention at the 2001 Banff Mountain Book Festival. He is also the special projects director for the American Himalayan Foundation. Jamie Dutcher won an Emmy Award for sound mixing with her carefully collected sounds of the Sawtooth wolves. 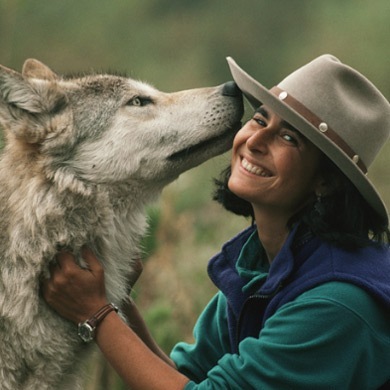 She and her husband, Jim Dutcher, created the Discovery Channel’s most successful wildlife documentary, Wolves at Our Door. Their most recent film, Living with Wolves, was produced by the Discovery Channel and continues the story of the Sawtooth wolf pack that became a part of their lives. Through their films, books, and numerous events and media appearances, the Dutchers have inadvertently become lightning rods for one of the most hotly debated environmental issues in North America today. For more information on the Dutchers and their work, visit Living with Wolves. 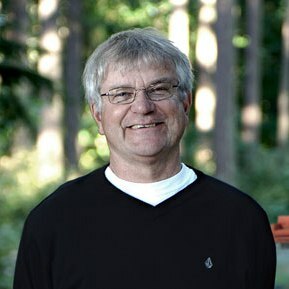 Jim Dutcher is an Emmy Award–winning cinematographer and filmmaker. His work includes the National Geographic special, A Rocky Mountain Beaver Pond, and ABC World of Discovery’s two highest-rated films, Cougar: Ghost of the Rockies and Wolf: Return of a Legend. Together, Jim and his wife, Jamie, created the Discovery Channel’s most successful wildlife documentary, Wolves at Our Door. Their most recent film, Living with Wolves, was produced by the Discovery Channel and continues the story of the Sawtooth wolf pack that became a part of their lives. Through their films, books, and numerous events and media appearances, the Dutchers have inadvertently become lightning rods for one of the most hotly debated environmental issues in North America today. Oceanographer Dr. Sylvia Earle is explorer-in-residence at the National Geographic Society and leader of the Sustainable Seas Expeditions. She received the TED Prize in 2009 for her proposal to establish a global network of marine protected areas, or "hope spots," to save and restore "the blue heart of the planet." Dr. Earle contributed the Introduction to To the Arctic (Braided River, 2011). Gretel Ehrlich is the author of thirteen books, including The Solace of Open Spaces, This Cold Heaven, and Facing the Wave, nominated for a National Book Award. Her many honors include a Guggenheim, a PEN USA Award for Nonfiction, and the Henry David Thoreau Award for Nature Writing. She has lived on the eastern, southeastern, and northern edges of the greater Yellowstone ecosystem for forty-three years, and with Joe Riis, has followed the spring migrations of pronghorn, moose, elk, and mule deer. 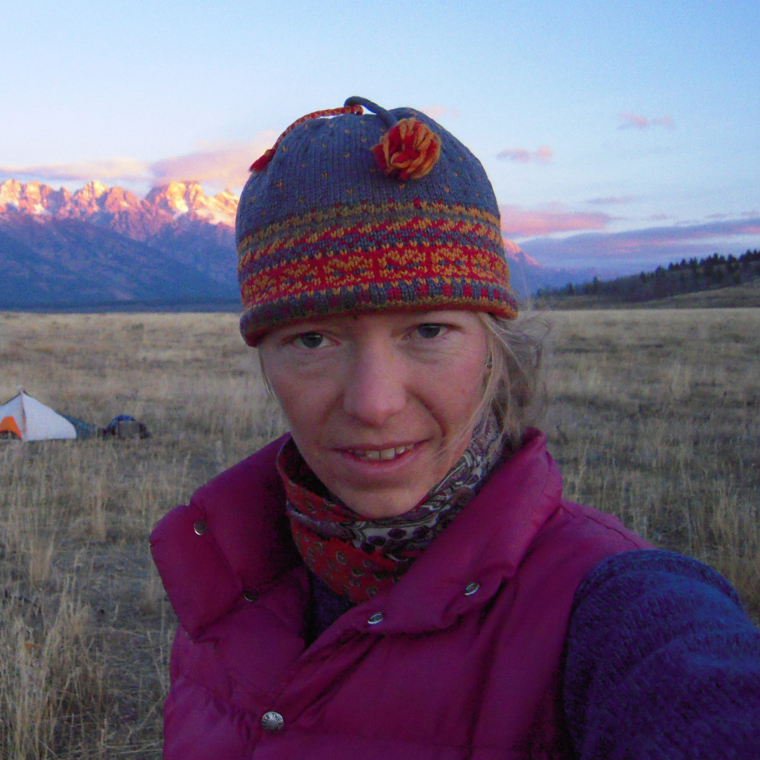 Gretel Ehrlich is an essayist for Planet Ice (Braided River, 2009) and Yellowstone Migrations (Braided River, 2017). Patrick Endres was lured to Alaska in 1981 by a youthful quest for adventure and an intrigue with wilderness. Since then he has trekked and explored Alaska's epic wild spaces, and photographed the arctic and sub-arctic environments extensively. Now as an established professional photographer he continues to document its dynamic landscape, specializing in Alaska nature, wildlife, outdoor, and environmental imagery. His work has been widely published, appearing in the Smithsonian Museum of Natural History, National Wildlife, USA Today, Time, Sierra, and many other publications, including numerous books and calendars. In 2003 he was featured in "The World's Top Photographers - Landscape" published by RotoVision. Patrick enjoys northern living and makes his home in Fairbanks. For more information, visit www.AlaskaPhotoGraphics.com. Patrick Endres contributed to On Arctic Ground (Braided River, 2012). Freelance field biologist and author Jeff Fair has studied and written about loons (and other wild spirits) from Maine to Alaska for 35 years. Formally trained as a wildlife biologist (M.S. Wildlife Ecology, UNH), he has also trapped and radio-collared grizzly bears in the Yellowstone back country, worn the badge and uniform of a Utah game warden (one career arrest), and introduced snakes to tourists as a US Forest Service naturalist in Oklahoma. He has made his home and his living in Alaska since 1995. 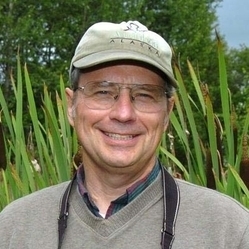 In 2002 he coauthored Audubon Alaska’s Western Arctic Summary and Synthesis of Resources (pertaining to the National Petroleum Reserve – Alaska) and published his Status and Significance of Yellow-billed Loons in Alaska (The Wilderness Society). The latter document led to a finding by the US Fish and Wildlife Service that yellow-bills are warranted for Endangered Species Act listing. Jeff’s essays have appeared in Audubon magazine, Alaska magazine, Natural History, The Christian Science Monitor, Equinox, Ranger Rick, and Appalachia, where he is a contributing editor. His writing has been anthologized in Loons: Song of the Wild (Voyageur Press 1996), Travelers’ Tales Alaska (Travelers Tales 2003), Arctic Wings (The Mountaineers Books 2006), Arctic Voices (Seven Stories Press 2012), and On Arctic Ground (Braided River 2012). He has received the National Press Club’s Travel Journalism Award and the National Wildlife Federation’s Farrand/Strohm Writing Award. His books include The Great American Bear (NorthWord 1990) and three children’s wildlife titles. Jeff continues his field work with common and yellow-billed loons in Alaska, Maine, and northern Canada, with an eye on the Russian Far East. He writes in the loft of his quiet little cabin on Lazy Mountain, across the river from Palmer. Jeff Fair contributed "Angels in the Mist" to Arctic Wings: Birds of the Arctic National Wildlife Refuge(Braided River, 2006) and was a contributor to On Arctic Ground: Tracking Time in Alaska's National Petroleum Reserve. 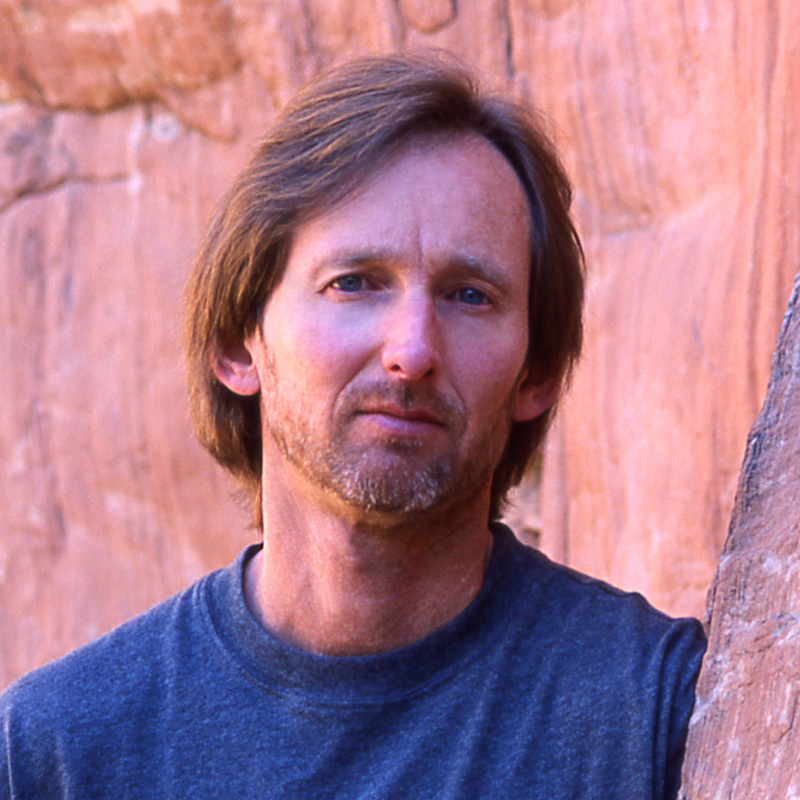 Daniel Glick is the author of Monkey Dancing: A Father, Two Kids, and a Journey to the Ends of the Earth, a Colorado Book Award-winning account of the trip he took with his son and daughter to places of great ecological wonder that are threatened by human development. A correspondent for Newsweek for thirteen years, Glick co-authored the 2004 National Geographic cover story entitled "Global Warming: Bulletins from a Warmer World" that won an Overseas Press Club award. He has written for numerous other magazines, including Smithsonian, Outside, Rolling Stone, the Washington Post Magazine, and Harpers. Glick also wrote Powder Burn: Arson, Money and Mystery on Vail Mountain, an investigation into the most infamous act of ecoterrorism in U.S. history. In 2001, he was awarded a Ted Scripps Fellowship at the University of Colorado, one of five journalists chosen annually to spend an academic year researching environmental law, policy, and science. In 2006, he spent four months as a Knight International Journalism Fellow in Algeria with his two children. Dan Glick contributed "Fever Pitch: Understanding the Planet's Warming Symptoms" to The Last Polar Bear (Braided River, 2008). For more information, visit www.danielglick.net. Steven Gnam has been photographing wildlife, landscapes, and people in adventures across the western Unites States and Canada for the past twelve years. Most of his work focuses on celebrating and protecting the wild lands of the Rocky Mountains and the Pacific Northwest. Steven’s photographs have been used by conservation organizations across the west, including the Nature Conservancy, NPCA, and the Montana Wilderness Association. His work has been featured by commercial and editorial clients, such as Patagonia, Backpacker Magazine, National Parks, and Montana Outdoors. Steven lives with his wife, Alyson, in the Pacific Northwest. Learn more about Steven at www.stevengnamphotography.com. 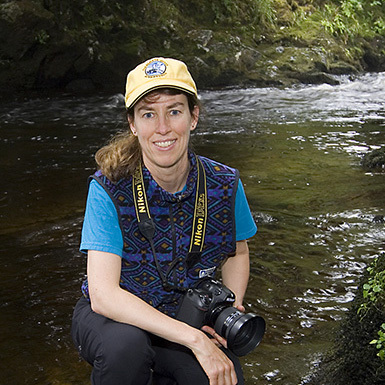 Amy Gulick is an acclaimed nature photographer and writer and a Fellow with the International League of Conservation Photographers. 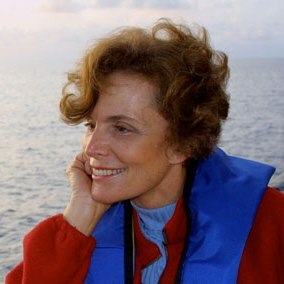 Her images and stories have been featured in Audubon, National Wildlife, Outdoor Photographer, and other publications. She is the author and photographer of the award-winning Salmon in the Trees: Life in Alaska’s Tongass Rain Forest (Braided River, 2010). Visit Amy’s site to learn more. Recipient of the 2003 Wilburforce Foundation Conservation Leadership Award, Karsten Heuer has spent the better part of the last decade studying and, in some cases, actually following wide-ranging and threatened wildlife on foot. He has worked as a wildlife biologist and park warden in the Madikwe Game Reserve in South Africa; in Canada’s Yukon Territory; and in Banff and Jasper national parks in the Canadian Rockies. Accompanied by his wife, Leanne Allison, and his border collie, he walked 2,200 miles from Yellowstone to the Yukon in 1998 and 1999, and another 1,000 miles to Alaska’s Arctic National Wildlife Refuge with the 123,000-member Porcupine Caribou herd in 2003. He is the author of Walking the Big Wild: From Yellowstone to the Yukon on the Grizzly Bear’s Trail (The Mountaineers Books, 2004) and Being Caribou (The Mountaineers Books, 2005). He is now President of the Yellowstone to Yukon Conservation Initiative, and lives with his wife and son in Canmore, Alberta. Karsten Heuer contributed "The Wilder Side of a Wild Walk" to Yellowstone to Yukon: Freedom to Roam (Braided River, 2005) and the epilogue to Crown of the Continent: The Wildest Rockies (Braided River, May 2014). Visit his "Necessary Journeys" website for more information about his work. Denver Holt is the founder of Montana’s Owl Research Institute and Ninepipes Wildlife Research and Education Center. Holt conducts fieldwork on many different species of owls, including Snowy Owls on Alaska’s North Slope. His work has been featured on CNN Science News, Audubon’s Up-Close series, PBS’s Bird Watch, David Attenborough’s The Life of Birds, and National Geographic. Denver Holt contributed "Through Arctic Eyes" to Arctic Wings: Birds of the Arctic National Wildlife Refuge (Braided River, 2006). Michio Hoshino was born in Ichikawa City, Japan, in 1952. When he was seventeen, a photo of an Eskimo village on the northwest coast of Alaska in National Geographic inspired him to explore the vast wilderness. He eventually left his native Japan to live and work in Alaska. After four years of studying wildlife management at the University of Alaska's College of Natural Sciences, he became a professional photographer concentrating on Alaskan nature and wildlife. He has published several books, including Grizzly (Chronical Books, 1986), Caribou (1988), and Moose(1988).In 1989, an exhibition of his work, "Alaska: Latitude 60 Degrees North," was held at Tokyo's Olympus Gallery and Asahi Shimbun Concourse, as well as other locations in Japan. His photographs and articles have been featured in numerous American and international magazines, including Audubon magazine. On August 6, 1996, at the age of 44, Hoshino was killed by a brown bear while photographing on the Kamchatka Peninsula in eastern Russia. He is survived by his wife Naoko and his son Shoma. Sarah James is a Gwich’in activist who lives in Arctic Village, just south of the Arctic National Wildlife Refuge. She has spoken across the country against development in the refuge and spent three months in 2005 at a vigil in Washington, D.C., drumming, singing, dancing, and praying with other Native Americans to educate the public about human rights issues in the refuge. 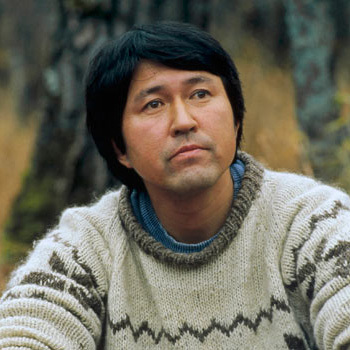 In 2002 James was co-winner of the prestigious Goldman Environmental Award with two other Gwich’in elders. Sarah James contributed "Cultural Reflections" to Arctic Wings: Birds of the Arctic National Wildlife Refuge (Braided River, 2006). To learn more about the Gwich'in Steering Committee, click here. Nick Jans is a longtime contributing editor to Alaska Magazine and a member of USA Today's board of editorial contributors. He has written seven books, including The Grizzly Maze: Timothy Treadwell's Fatal Obsession with Alaska's Bears, A Place Beyond: Finding Home in Arctic Alaska, and Tracks of the Unseen. He has published more than two hundred magazine articles and won a number of literary awards, most recently a 2006 Ben Franklin Award. He is also a professional photographer who specializes in wildlife and bush Alaska. Jans lived and taught school for twenty years in remote Native communities and currently makes his home in Juneau with his wife, Sherrie, three dogs, two parrots, and a varying array of critters that need a hand. Nick Jans contributed "Living with Oil: The Real Price" to The Last Polar Bear: Facing the Truth of a Warming World (Braided River, 2008). He is also an essayist for Planet Ice (Braided River, 2009). Award-winning landscape and nature photographer Carl Johnson was born and raised in the Black Hills of South Dakota. He began his photography career while serving in the US Navy as a ship’s photographer. He has served as the artist-in-residence for Gates of the Arctic National Park and Preserve, Badlands National Park, and Rocky Mountain National Park. He published Where Water is Gold with Braided River in 2016. He lives in Anchorage, Alaska, with his wife, where he owns Arctic Light Gallery & Excursions. James Johnston is a native Oregonian who lived in Washington State during 2005 and 2006 while completing the photography for Columbia Highlands. He is an avid hiker, backpacker, fly fisherman, and photographer who has covered more than a thousand miles of trail in the Pacific Northwest every year since he was old enough to drive. He currently lives in Eugene, Oregon. More of his photography can be found at www.northforkphotos.com. Richard Kahn is an EMMY award winning filmmaker whose work focusing on medical ethics and social policy issues has been shown on PBS, The History Channel, The Discovery Channel and MSNBC. A month long canoe trip in the Brooks Range in 2000 inspired Kahn to use his skills as a filmmaker, photographer and writer to protect the wild and undeveloped public land within and around the National Petroleum Reserve-Alaska. Since that first trip he has returned to the North each year. He has paddled more than 4000 miles of Wilderness Rivers in the Brooks Range and NPR-A. In 2011, with the support of the Alaska Wilderness League he presented his journals and photographs to audiences in New England and the Midwest. He contributed to On Arctic Ground(Braided River, 2012). 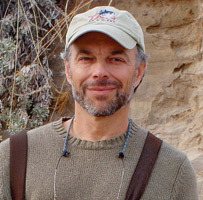 Kenn Kaufman, best known for his Focus series of bird guides, is one of the most popular birding author in the country. He is field editor for Audubon Magazineand a regular contributor to numerous birding magazines. A devoted conservationist, he works vigorously to promote the appreciation and protection of nature. Other books in his field guide series include the Kaufman Focus Guide to Butterfliesand the Kaufman Focus Guide to Mammals. He also wrote the Peterson Field Guide to Advanced Birding, Kingbird Highway, and Lives of North American Birds. Kenn Kaufman contributed "After an Arctic Season" to Arctic Wings: Birds of the Arctic National Wildlife Refuge (Braided River, 2006). For nearly twenty-five years now, James Kay's passion for photography has centered on his love of untrammeled wild country—whether he's squeezing through a remote slot canyon on the Colorado Plateau in search of magic light or setting up his tripod before sunrise on a windswept peak in the Canadian Rockies. His skill in capturing the essence of his subjects reflects his deep reverence for the remote wild corners of North America. Kay currently serves as a professional advisor to Outdoor Photographer magazine, and his work has been featured in the Nikon Legends Collection. His landscape photographs have been displayed in the Museum of Utah Art & History, The Utah Museum of Natural History, and in private and corporate collections around the world. He frequently provides images to conservation organizations working on campaigns to protect wild lands—which recently brought his images to the U.S. Capitol Rotunda for display. Kay's photographs have been published in magazines, books, calendars, and commercial advertising projects around the world including Los Angeles Times Magazine, Nikon World, TIME, Delta Sky, National Geographic Adventure, Backpacker, Outside, Sierra, Newsweek, and Outdoor Photographer. His photographs have been used by corporate clients including Nikon USA, American Express, AT&T, Visa, Fuji USA, General Mills, The New Zealand Tourism Board, Patagonia, IBM, Fidelity Investments, L.L.Bean, The Nature Conservancy, and DaimlerChrysler. He and his wife are based in the Wasatch Mountains of northern Utah. For more information, visit www.jameskay.com. Steven Kazlowski earned a degree in marine biology from Towson State University in Baltimore before setting out for Alaska to pursue his true passion: wildlife photography. His photos have been featured in Vanity Fair, Time, National Wildlife, Audubon, Backpacking, and Canadian National Geographic magazines, and he has self-published two books: Bears of the North and Alaska Wildlife Impressions. He spent over eight years photographing for The Last Polar Bear: Facing the Truth of a Warming World(Braided River, 2008). As a result of his work on that conservation title, he received the Sierra Club’s 2008 Ansel Adams Award. Kazlowski is known within the photography community for his skills of observation and his determination to capture an image even in extreme weather conditions. For more information and photographs, visit his website, www.lefteyepro.com. Frank Keim is a retired high school teacher who taught for twenty-one years in four Yupik villages in the Lower Yukon School District in Southwest Alaska, at the mouth of the Yukon River. He lived for many years in Latin America, where he was a Peace Corps Volunteer and an anthropology instructor at the University of Cuenca. Keim is on the Alaska State Board of Trustees of the National Audubon Society and regularly contributes articles to local and regional publications. He is a nature poet and wood-carver. He learned his love of birds and walking from his father when he was very young, and he hopes his own children and grandchildren will learn the same from him. Frank Keim contributed "Wings Over Winter Snow" to Arctic Wings: Birds of the Arctic National Wildlife Refuge(Braided River, 2006). Robert F. Kennedy Jr. has worked on environmental issues across the Americas. He was named one of Time Magazine’s “Heroes for the Planet” for his success in helping Riverkeeper lead the fight to restore the Hudson River. The watershed agreement he negotiated on behalf of environmentalists and New York City watershed consumers is regarded as an international model in stakeholder consensus negotiations and sustainable development. Kennedy serves as senior attorney for the Natural Resources Defense Council, chief prosecuting attorney for the Hudson Riverkeeper, and president of Waterkeeper Alliance. Among his published books are Crimes Against Nature and The Riverkeepers. His articles have appeared in, among others, The New York Times, Washington Post, Los Angeles Times, Wall Street Journal, Newsweek, Rolling Stone, Atlantic Monthly, Esquire, The Nation, Outside, and The Village Voice. Kennedy is a licensed master falconer, and as often as possible he pursues a life-long enthusiasm for whitewater paddling. Robert Kennedy Jr. contributed the epilogue to Yellowstone to Yukon: Freedom to Roam (Braided River, 2005). For more information, visit www.robertfkennedyjr.com. Ted Kerasote’s work on natural history, wildlife, outdoor recreation, and indigenous people has been published in dozens of periodicals and anthologies, including Audubon, Outside, Men’s Journal, National Geographic Traveler, Salon.com, The New York Times Book Review, The Nature of Nature, The Best American Science and Nature Writing, and The Best Adventure and Survival Stories. He is also the author of five books. One of them, Bloodties: Nature, Culture, and the Hunt, has been reprinted many times and remains one of the most frequently cited works on the ethics of hunting. Two of his books, Out There: In the Wild in a Wired Ageand Merle's Door: Lessons from a Freethinking Dog, have won the National Outdoor Book Award for literature. Kerasote lives in Kelly, Wyoming. Ted Kerasote contributed "Refuge" to Yellowstone to Yukon: Freedom to Roam(Braided River, 2005). For more information, visit www.kerasote.com. Harvey Locke grew up in southern Alberta. His family, among the area's earliest European settlers, has been in Bow Valley for seven generations. Locke first visited Yellowstone in 1979 and knew intuitively there was a connection between it and the Canadian Rockies. This interest led him to help create the Yellowstone to Yukon Conservation Initiative, for which he now serves as strategic advisor. He also serves as program advisor to Tides Canada Foundation; senior advisor, conservation, to the Canadian Parks and Wilderness Society; advisor to the Canadian Boreal Initiative; director emeritus of the Wildlands Project; member of the World Commission on Protected Areas; member of the executive committee of the Eighth World Wilderness Congress; and trustee of the Eleanor Luxton Historical Foundation. In 1999, Time Canada named him one of Canada's leaders for the twenty-first century. Locke contributed "Y2Y Today: Where We Are and Where We Go from Here"—with Gary Tabor—to Yellowstone to Yukon: Freedom to Roam(Braided River, 2005). Thomas Lovejoy coined the term “biological diversity” and is credited as a founder of the field of climate change biology. In 2010, he was elected University Professor in the Department of Environmental Science and Policy at George Mason University. He is Senior Fellow at the United Nations Foundation based in Washington, DC, and Conservation Fellow for National Geographic. Lovejoy has served on science and environmental councils under the Reagan, Bush, and Clinton administrations. His seminal ideas have formed and strengthened the field of conservation biology. 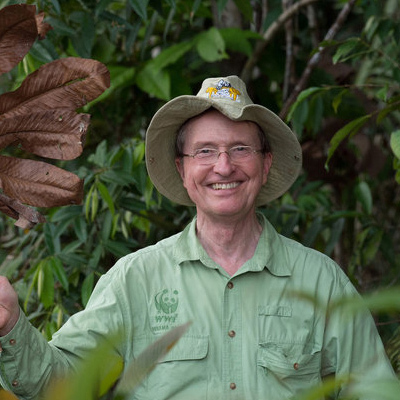 In the 1980s, he brought international attention to the world’s tropical rainforests, and in particular, the Brazilian Amazon, where he has worked since 1965. He also founded the popular public television series Nature. Prestigious awards he has won include the Tyler Prize for Environmental Achievement, the BBVA Foundation Frontiers of Knowledge Award, and the Blue Planet Prize. Lovejoy contributed to Yellowstone Migrations (Braided River, 2017). Greg MacGillivray is an Academy Award nominated film director and cinematographer whose production company, MacGillivray Freeman Films, has produced more than thirty giant-screen IMAX Theatre films, including the award-winning hits Everest, The Living Sea, and Grand Canyon Adventure. 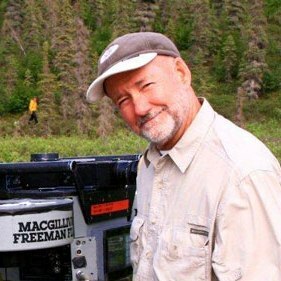 In 2004, he founded the MacGillivray Freeman Films Educational Foundation to contribute to the conservation of our natural and cultural heritage through films and educational programs. Along with his wife, Barbara, he recently launched the global multi-media One World One Ocean campaign to drive awareness and motivate millions of new ocean ambassadors to take action on behalf of the world’s oceans. To The Arctic is the first film presentation of the One World One Ocean campaign. For more information, please visit www.OneWorldOneOcean.org. Brad Matsen has been writing books, documentary films scripts, and magazine articles for thirty years. His latest book is Descent: The Heroic Discovery of the Abyss, the story of William Beebe, Otis Barton, and their courageous Bathysphere expeditions in the 1930s. He also contributed the introduction to Rapture of the Deep: The Art of Ray Troll, and Go Wild in New York City, a book about urban ecology for kids. Matsen's other books include Raptors, Fossils, Fins and Fangs, Planet Ocean: A Story of Life, the Sea, andDancing to the Fossil Record, and Shocking Fish Tales, all illustrated by Ray Troll; The Incredible Ocean Adventure series; Reaching Home: Pacific Salmon, Pacific People; Northwest Coast: Essays on the Territory Between the Columbia River and Cook Inlet; and Deep Sea Fishing. He has also been a creative producer and writer for several television series developed by Sea Studios/National Geographic television. His articles and photographs have appeared in Audubon, Mother Jones, Oceans, WoodenBoat, Whole Earth Review, Alaska, and dozens of other magazines and newspapers. He has spent most of his life in Alaska and the Pacific Northwest, also working as a charter pilot, commercial fisherman, and merchant seaman. He now splits his time between Seattle and New York. Brad Matsen is an essayist for Salmon in the Trees: Life in the Tongass Rainforest (Braided River, 2010). Peter Matthiessen is the acclaimed author of numerous works of fiction and nonfiction. His subjects include vanishing cultures, oppressed people, and endangered wildlife and landscapes, and his work is essentially based on his wilderness travels. His nonfiction books include The Birds of Heaven: Travels with Cranes, Tigers in the Snow, The Tree Where Man Was Born, which was nominated for the National Book Award, and The Snow Leopard, which won it. While writing In the Spirit of Crazy Horse and Indian Country, Matthiessen turned his attention toward the history, culture, and political plight of American Indians. In 1990, he was made a laureate of the Global Honor Roll of the United Nations Environmental Program (UNEP). In 1991, Matthiessen was honored with the John Steinbeck Award, which recognizes contributions to literature and humanity. He has also received lifetime achievement awards from the Heinz Foundation, Lannan Foundation, and the Society of Conservation Biologists, and the Gold Medal in Natural History from the Philadelphia Academy of Sciences. Matthiessen is a member of the American Academy of Arts and Letters, as well as the American Academy of Arts and Sciences. Matthiessen contributed "In the Great Country" to Arctic National Wildlife Refuge: Seasons of Life and Land (Braided River, 2003). Frank Mauer moved to Alaska more than thirty years ago to attend graduate school at the University of Alaska at Fairbanks, where he earned a master of science degree in zoology in 1974. He began his career which the U.S. Fish and Wildlife Service as an entry-level wildlife biologist. From 1976 to 1980, he worked as staff biologist with the proposed Alaska National Interest Lands Conservation Act, which ultimately established new national parks, wildlife refuges, wilderness areas, and wild rivers in Alaska. After twenty-one years as the wildlife biologist on staff of the Arctic National Wildlife Refuge, he retired in 2002. Mauer’s fieldwork in the Arctic Refuge focused on study and management of the Porcupine caribou herd, Dall sheep, moose, wolverines, golden eagles, and peregrine falcons. He has provided information to numerous media sources on the issue of proposed oil development in the Arctic Refuge, and has frequently spoken to the irreplaceable values that are at stake. Fran Mauer contributed "Our Geography of Hope" to Arctic National Wildlife Refuge: Seasons of Life and Land(Braided River, 2003) and "Hunters of the Arctic Sky" to Arctic Wings: Birds of the Arctic National Wildlife Refuge (Braided River, 2006). Bill McKibben is an American environmentalist and writer who frequently writes about global warming, alternative energy, and the risks associated with human genetic engineering. McKibben is active in the Methodist Church, and his writing sometimes has a spiritual bent. Formerly a New Yorker magazine staff writer, he is the author of numerous books, including The End of Nature, The Age of Missing Information, and Deep Economy: the Wealth of Communities and the Durable Future. He is also a frequent contributor to various magazines including The New York Times, The Atlantic Monthly, Harper's, Orion Magazine, Mother Jones, The New York Review of Books, Granta, Rolling Stone, and Outside. He is a board member and contributor to Grist Magazine. McKibben has been awarded Guggenheim and Lyndhurst Fellowships, and won the Lannan Prize for nonfiction writing in 2000. He has honorary degrees from Green Mountain College, Unity College, Lebanon Valley College, and Sterling College. He is a scholar in residence at Middlebury College. In January 2007, McKibben founded stepitup07.org to demand that Congress enact curbs on carbon emissions that would cut global warming pollution 80 percent by 2050. With six college students, he organized 1,400 global warming demonstrations across the country (in all fifty states) on April 14, 2007. 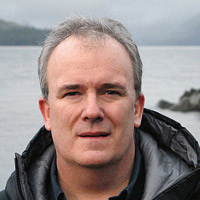 McKibben is the author of the foreword to Resurrection (Braided River, 2009). For more information, visit www.billmckibben.com. William H. Meadows, president of The Wilderness Society since 1996, has been active in conservation for more than thirty years. He credits Earth Day, founded by his colleague at The Wilderness Society, former Senator Gaylord Nelson, as the catalyst for his involvement. He first became engaged in environmental issues as a volunteer leader in his home state of Tennessee. Meadows began his professional career at his alma mater, Vanderbilt University. Later he was vice president for college relations at Sweet Briar College in Virginia. 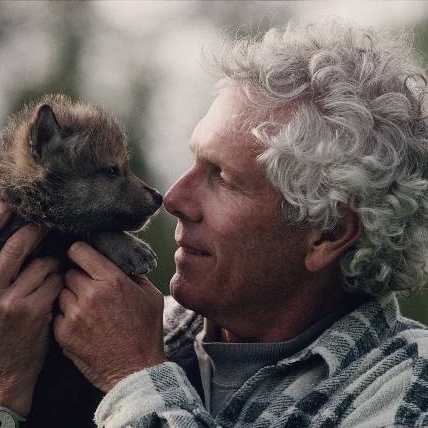 His professional conservation career began in 1992, when he became director of the Sierra Club’s Centennial Campaign. He has worked on national efforts to protect the Arctic National Wildlife Refuge, the Rocky Mountain Front, the Northern Forest, and the Southern Appalachians, and provides leadership on wilderness campaigns in Utah, Alaska, California, and Washington State. Besides serving on the Steering Committee of the White Cloud Council and on the Advisory Council for the Biodiversity Project, Meadows has also been an active leader in the Green Group. He is a member of the board of the National League of Conservation Voters, Campaign for America’s Wilderness, American Wilderness Coalition, The Murie Center, Island Press, and the National Wildlife Refuge Association. William Meadows contributed "Arctic Refuge: Key to Saving Wild America" to Arctic National Wildlife Refuge: Seasons of Life and Land (Braided River, 2003) and the foreword to Living with Wolves(Braided River, 2005). Arthur Middleton is a wildlife ecologist. 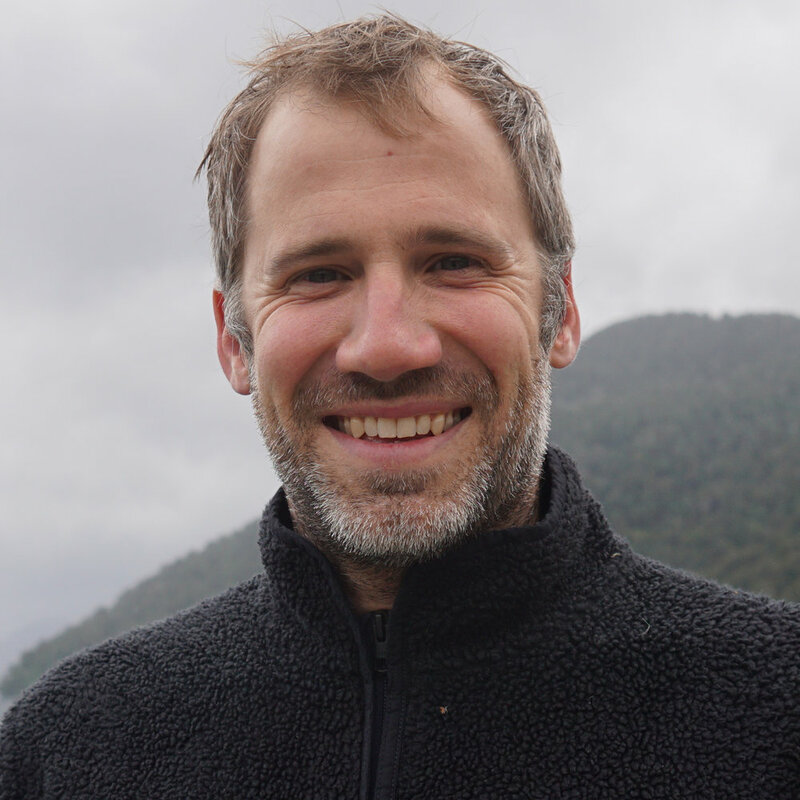 He is an assistant professor in the Department of Environmental Science, Management, and Policy at the University of California, Berkeley, with long-term field projects in the northern Rockies and the southern Andes. Middleton has sought to improve environmental outcomes by highlighting key differences between how systems work and how they are managed, in and around parks and protected areas. He often steps out of the normal science process to make creative products, including museum exhibits and films in collaboration with photog¬raphers, filmmakers, and artists. Along with Joe Riis, he was awarded the 2013 Camp Monaco Prize by Prince Albert II of Monaco for linking research and public outreach on the trans-bound¬ary wildlife migrations in the Greater Yellowstone Ecosystem. He holds degrees from Bowdoin College, Yale University, and the University of Wyoming. Arthur Middleton contributed his research on animal migrations and wildlife corridors to Yellowstone Migrations (Braided River, 2017). Debbie S. Miller grew up near the San Francisco Bay. In 1975, she and her husband, Dennis, moved to teach in Arctic Village, Alaska, a Gwich’in Athabascan Indian village located on the southern boundary of the Arctic National Wildlife Refuge. Over the past twenty-eight years, Miller and her family have explored the refuge on many trips through all of its seasons. Miller has authored nature books for adults, many children’s books about Alaska’s environment, and a number of essays and magazine articles. In 1998, she received the International Reading Association Teacher’s Choice Award, and her book, Arctic Lights, Arctic Nights, received the 2003 John Burroughs Nature Book for Young Readers award. Her most recent book, Big Alaska: Journey Across America's Most Amazing State, won the 2007 Outstanding Science Trade Book for Children Award from the National Science Teachers Association. Her adult book Midnight Wilderness: Journeys in Alaska’s Arctic National Wildlife Refuge describes the natural and political history of the refuge through a series of wilderness adventure essays. She received the 1999 Refuge Hero Award from the U.S. Fish and Wildlife Service for her writing, education, and conservation work. Miller lives near the wilderness in Fairbanks, Alaska, with Dennis and their two daughters, Robin and Casey. Debbie Miller is the author of A Wild Promise: Prince William Sound (Braided River, 2018) and On Arctic Ground: Tracking Time in Alaska's National Petroleum Reserve. She contributed "Clinging to an Arctic Homeland" to Arctic National Wildlife Refuge: Seasons of Life and Land (Braided River, 2003) and "Songs from Around the World" to Arctic Wings: Birds of the Arctic National Wildlife Refuge (Braided River, 2005). 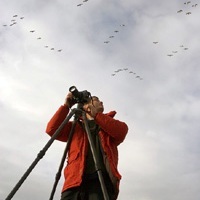 Arthur Morris is a freelance nature photographer and writer specializing in birds. He taught elementary school in New York City for twenty-three years. For eight years he conducted the shorebird survey at the Jamaica Bay Wildlife Refuge for the International Shorebird Surveys, Manomet, Massachusetts. Two of his images—out of 19,000 entries—were awarded prizes in the 1997 Wildlife Photographer of the Year Competition, and another was similarly honored in the 2000 contest. In April 1995, Morris became a Canon contract photographer, as part of their "Explorers of Light" program. An exhibit of his work hung at the prestigious Roger Tory Peterson Institute in Jamestown, New York, in the summer of 1999. From 2001 to 2002, sixty-four of his images were featured in an exhibit entitled "On a Wing and a Prayer: The Migratory Birds of North America." More than 11,000 of his photographs have been published in American Birds, Audubon, Birding, Birder's World, Bird Watcher's Digest, Florida Wildlife and Nature, Living Bird, National Geographic, Natural History, Nature Photographer, Outdoor Photographer, PHOTOgraphic, Ranger Rick, Wildbird, and other magazines, as well as in hundreds of books and calendars. More than 100 of his photo-illustrated feature articles have appeared in publications worldwide, and he is a Photography magazine columnist. Morris now photographs, travels, speaks, and teaches extensively in North America. To view more of his work, visit www.birdsasart.com. David Moskowitz works as a biologist, photographer, and outdoor educator. He is the author and photographer of Wildlife of the Pacific Northwest and Wolves in the Land of Salmon, as well as a forthcoming Braided River title, Caribou Rainforest: From Heartbreak to Hope, due out in the fall of 2018. He has contributed his technical expertise to a wide variety of wildlife studies regionally and in the Canadian and U.S. Rocky mountains, focusing on using tracking and other non-invasive methods to study wildlife ecology and promote conservation. Visit David’s site to learn more. Richard Nelson is a writer, activist, cultural anthropologist, and subsistence hunter who lives in Southeast Alaska. His books include Patriotism and the American Land, Make Prayers to the Raven(which became an award-winning PBS television series), Hunters of the Northern Forest, Shadow of the Hunter, and Hunters of the Northern Ice. Nelson's awards include the John Borroughs Medal for nature writing for The Island Within, the Sigurd Olson Nature Writing Award for Heart and Blood: Living with Deer in America, a National Endowment for the Arts Fellowship, and a Lannan Literary Award for nonfiction. He hosts his own radio show and speaks publicly on his work and on issues of conservation. In the words of author Jim Harrison, the magic of Nelson's writing is that it speaks to "hunters and anti-hunters, environmentalists and politicians, and anyone who cares about what's left of the natural world in America." Richard Nelson contributed "Hunting Wisdom: The Iñupiat and the Polar Bear" to The Last Polar Bear: Facing the Truth of a Warming World (Braided River, 2008). He contributed sound recordings to Salmon in the Trees and On Arctic Ground. Emilene Ostlind is a Wyoming-based environmental journalist. 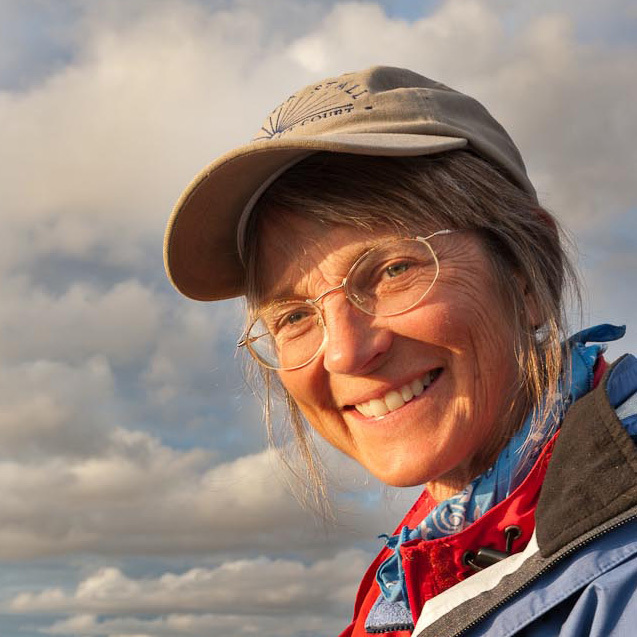 She has contributed to publications including National Geographic, High Country News, WyoFile.com, Wyoming Wildlife, the Patagonia blog The Cleanest Line, and others. Her story “Perilous Passages,” with photography and field work by Joe Riis, won the 2012 Science in Society Award from the National Association of Science Writers and the 2012 Knight-Risser Prize for Environmental Journalism in the West from Stanford University. Emilene is founding editor of the University of Wyoming’s Western Confluence magazine and editor for the Wyoming Migration Initiative. Emilene contributed to Yellowstone Migratiosn, (Braided River, 2017). Wayne R. Petersen is Massachusetts Audubon’s director of the Massachusetts Important Bird Areas (IBA) Program and has led international birding tours, lectured, and conducted birding workshops across North America for over thirty-five years. Petersen is a New England Regional Editor for North American Birds magazine and wrote the National Audubon Society Pocket Guide to Songbirds and Familiar Backyard Birds (East), coauthored Birds of Massachusetts and Birds of New England, and coedited the Massachusetts Breeding Bird Atlas. Wayne Petersen contributed "Ocean Mariners" to Arctic Wings: Birds of the Arctic National Wildlife Refuge (Braided River, 2006). Dave Porter is a Kaska Dena leader who spent his early years on a trapline near Good Hope Lake in British Columbia. His accomplished career includes journalism, politics, communications, and public service on behalf of Canadian aboriginal organizations as well as governments in the Yukon, British Columbia, and the Northwest Territories. He was founding chairman of Northern Native Broadcasting, Yukon, and was a two-term vice-chair of the Council for Yukon Indians. He has served as deputy premier of the Yukon and as assistant deputy Minister of Aboriginal Affairs for British Columbia. As the first Oil and Gas Commissioner in British Columbia, he strove to build an open regulatory environment that would bring various interests in the province to a common table. In 2004 he was elected to the First Nations Summit, which works on behalf of First Nations involved in the treaty negotiation process in British Columbia. He is committed to preserving indigenous culture and creating greater opportunity for aboriginal youth. Dave Porter contributed "Dechenla: Land at the End of the Trees" to Yellowstone to Yukon: Freedom to Roam (Braided River, 2005). David Quammentravels on assignment for Harper’s, National Geographic, and other magazines, most often to jungles, deserts, and swamps. His accustomed beat is the world of field biology, ecology, evolutionary biology, and conservation, though he also occasionally writes about travel, history, and outdoor sports. For fifteen years, from the early 1980s to the mid-‘90s, he wrote a column called “Natural Acts” for Outside Magazine. 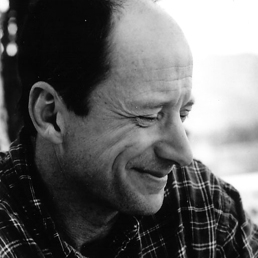 He has received the National Magazine Award three times, and his work has appeared in anthologies such as The Best American Essays, The Best American Travel Writing, and American Short Story Masterpieces. His books include The Song of the Dodo, which won the John Burroughs Medal for nature writing and several other awards; Monster of God; and a spy novel, The Soul of Viktor Tronko. He lives in Montana with his wife (Betsy Gaines, a conservationist), their large furry dog, and a modest supply of cats. David Quammen contributed the preface to Yellowstone to Yukon: Freedom to Roam (Braided River, 2005). 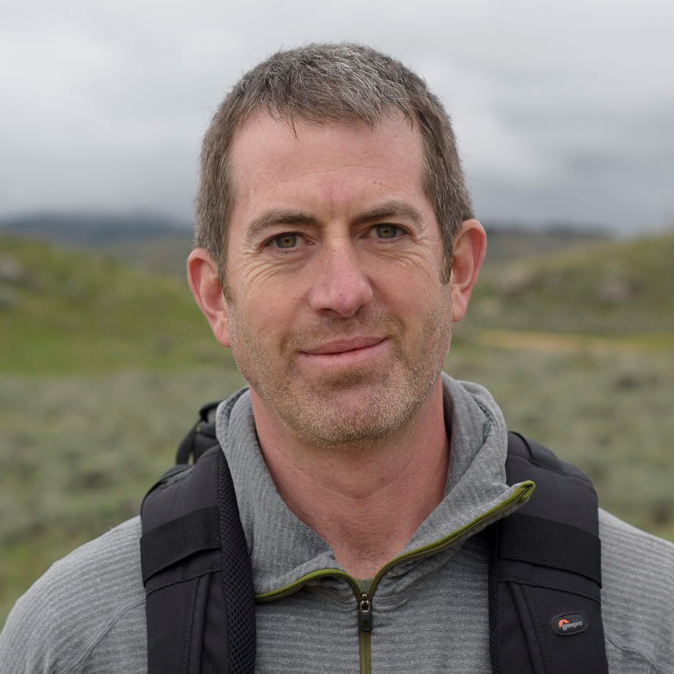 Joe Riis is a wildlife biologist turned wildlife photojournalist and filmmaker known for his pioneering documentation of animal migrations in the West. His award-winning Braided River title, Yellowstone Migrations, is the result of nearly a decade spent in the Greater Yellowstone Ecosystem documenting the migrations of elk, pronghorn antelope, and mule deer. 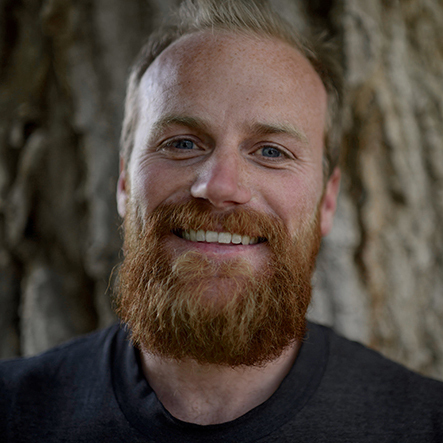 He is a Photography Fellow at National Geographic as well as the Wyoming Migration Initiative. Since 2009, he has worked on natural history photography assignments for National Geographic on five continents. His photographs have been exhibited widely and are included in private and public collections worldwide. Visit Joe’s site to learn more. 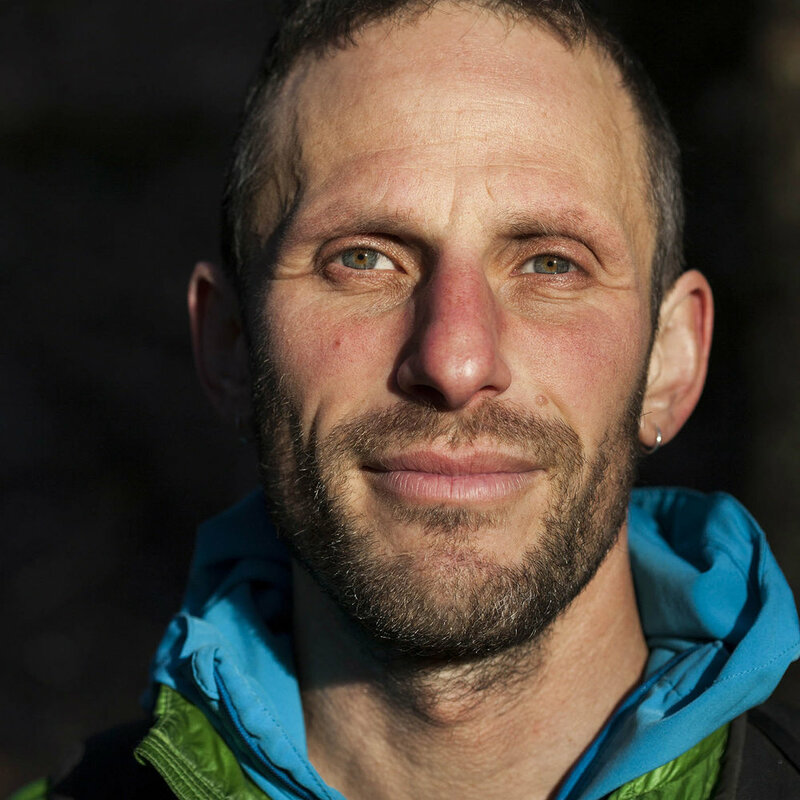 Craig Romano grew up in rural New Hampshire where he fell in love with the natural world. A former Boy Scout, backcountry ranger, and ski bum, the outdoors is his calling! He has traveled extensively, from Alaska to Argentina, Sicily to South Korea, seeking wild and spectacular landscapes. He ranks Washington State, his home since 1989, among the most beautiful places on the planet and he has thoroughly hiked it, over 15,000 miles worth from Cape Flattery to Puffer Butte. An avid runner as well, Craig has run the Boston Marathon and the White River 50 Mile Endurance Run. Content contributor for numerous publications, tourism agencies, and Hikeoftheweek.com; Craig is also a columnist for Northwest Runner and Outdoors NW. Author of nine books, among them; Day Hiking Olympic Peninsula, Day Hiking North Cascades, Day Hiking Columbia River Gorge, Backpacking Washington, and Columbia Highlands, Exploring Washington’s Last Frontier; which was recognized in 2010 by Washington Secretary of State, Sam Reed and State Librarian, Jan Walsh as a Washington Reads book for its contribution to Washington’s cultural heritage. Craig Romano authored Columbia Highlands (Braided River, 2007) and contributed the visiting guide to The North Cascades: Finding Beauty and Renewal in the Wild Nearby (Braided River, 2014). Theodore Roosevelt IV, a great-grandson of President Theodore Roosevelt, is a managing director at Lehman Brothers, New York. He is also chairman of Lehman Brothers' Council on Climate Change. Roosevelt was a Foreign Service Officer for the Department of State, serving in Washington DC and Ouagadougou, Upper Volta, West Africa (now Burkina Faso). Roosevelt is an active conservationist who is chair of the Pew Center for Global Climate Change, a board member of the Alliance for Climate Protection, a member of the Governing Council of the Wilderness Society, and a trustee for the American Museum of Natural History, the World Resources Institute, and Trout Unlimited. He and his wife, Constance, live in Brooklyn Heights. Ted Roosevelt IV contributed "Arctic Canary: Why the White Bear Matters" to The Last Polar Bear: Facing the Truth of a Warming World (Braided River, 2008). Hugh Rose has spent the last twenty-five years exploring and photographing Alaska’s unparalleled natural beauty, wildlife, birds, plants, geology, and solitude from his base in Fairbanks. He originally worked as a freelance photographer and naturalist-guide in Denali, but his focus is now the Arctic and Prince William Sound. He has spent the last twenty years working with Dean Rand on the Discovery as a naturalist while also photographing the Nellie Juan-College Fiord Wilderness Study Area—and you can view his photos from these journeys in A Wild Promise: Prince William Sound (Braided River, 2018). Visit Hugh’s site to learn more. Dr. Carl Safina is co-founder and president of Blue Ocean Institute, an international nonprofit conservation organization headquartered in East Norwich, New York. Safina is author of more than 100 articles and three books, including the award-winning Song for the Blue Ocean, Eye of the Albatross, and most recently, Voyage of the Turtle. Safina grew up loving the ocean and its creatures. His childhood by the sea led him into scientific studies of seabirds and fish—and eventually to his doctorate in ecology from Rutgers University. During his research and while fishing recreationally and commercially, he noticed rapid declines in marlin, sharks, tuna, other fish, and sea turtles. This inspired him to push ocean conservation issues into the wildlife conservation mainstream and advocate for the restoration of abundant life in the oceans. He has helped lead campaigns to ban high-seas driftnets; rewrite and reform federal fisheries law in the United States; use international agreements toward the restoration of depleted populations of tuna, sharks, and other fish; and achieve passage of a United Nations global fisheries treaty. In 1990 he founded the Living Oceans Program at the National Audubon Society and served for the following decade as vice president for ocean conservation. In 2003, he and Mercédès Lee created Blue Ocean Institute. Safina’s conservation work has been profiled in the New York Times, on Nightline, and in the Bill Moyers television special "Earth on Edge." Safina is a recipient of the Pew Scholars Award in Conservation and Environment, a World Wildlife Fund Senior Fellowship, a Lannan Literary Award for nonfiction, the John Burroughs Medal for literature, and a MacArthur Prize, among others. Dr. Safina is an essayist for Salmon in the Trees: Life in the Tongass Rainforest (Braided River, 2010). For more on his work, visit www.carlsafina.org. For more on the Blue Ocean Institute, visit www.blueocean.org. Joel Sartore is a photographer, speaker, author, teacher, and a regular contributor to National Geographic magazine. His assignments have taken him to some of the world’s most beautiful and challenging environments, from the Arctic to the Antarctic. In addition to the work he has done for National Geographic, Joel has contributed to Audubon Magazine, Time, Life, Newsweek, and Sports Illustrated. Joel has written several books including RARE: Portraits of America’s Endangered Species, Photographing Your Family, Nebraska: Under a Big Red Sky, and Let’s Be Reasonable. Joel and his work are the subjects of several national broadcasts including National Geographic’s Explorer, the NBC Nightly News, NPR’s Weekend Edition and an hour-long PBS documentary, At Close Range. He is a contributor on the CBS Sunday Morning Show and Charles Osgood. George B. Schaller is a field biologist and vice president of science and exploration at the Wildlife Conservation Society in New York. He was born in 1933 and went to the University of Alaska and Wisconsin. He was a member of the 1956 Murie expedition to Alaska, which resulted in the establishment of the Arctic National Wildlife Refuge. Schaller has spent most of his time during the past fifty years in the wilds of Asia, Africa, and South America, and has studied and helped protect species as diverse as the mountain gorilla, lion, jaguar, tiger, giant panda, and wild sheep and goats of the Himalaya. These studies have been the basis for his scientific and popular writings, including fifteen books, among them The Year of the Gorilla; The Last Panda; and The Serengeti Lion: A Study of Predator-Prey Relations, which won the National Book Award in 1972. For the past decade he has studied wildlife in Laos, Mongolia, and the Tibetan Plateau of China. His work helped persuade the Chinese government to set aside a portion of Tibet for nature preserves. His awards include the International Cosmos Prize (Japan) and the Tyler Prize for Environmental Achievement (USA). George Schaller contributed "Arctic Legacy" toArctic National Wildlife Refuge: Seasons of Life and Land (Braided River, 2003). John Schoen grew up on an island off the Washington coast and received his Ph.D. in wildlife ecology from the University of Washington. John has been involved in wildlife conservation in Alaska since 1976 and currently serves as the senior scientist for Audubon Alaska in Anchorage. Prior to working for Audubon, he worked for the Alaska Department of Fish & Game for twenty years, including twelve years as a research biologist in Juneau, where he studied the ecology of brown bear, black-tailed deer, and mountain goats in the Tongass National Forest. Dr. Schoen also serves as an affiliate professor of wildlife biology at the University of Alaska–Fairbanks and has published more than fifty scientific and popular articles on wildlife conservation issues in Alaska. For the last three years he has collaborated with The Nature Conservancy, conducting a conservation assessment of southeastern Alaska and developing a conservation strategy for the Tongass National Forest. 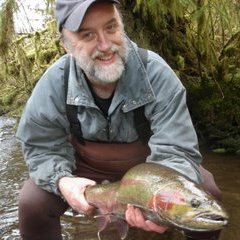 John Schoen is an essayist for Salmon in the Trees: Life in the Tongass Rainforest. Florian Schulz is a professional wildlife and landscape photographer from Germany whose striking images have garnered international recognition. His photographs have won awards in the BBC Wildlife Photographer of the Year Competition, the Nature’s Best International Photography Awards, the Banff International Mountain Photography Competition, and the European Nature Photographer of the Year competition. He also received the North American Nature Photography Association’s Vision Award, and Ansel Adams Award from the Sierra Club. His book Freedom to Roam™: Yellowstone to Yukon (Braided River, 2005) received an Independent Publisher Award as one of the “Top Ten Outstanding Books of the Year,” singled out as “Most Likely to Save the Planet.” Schulz spends eight to ten months every year in the field, focusing on long-term conservation photography projects. As the youngest founding member of the International League of Conservation Photographers, he uses his photography to instill in viewers a greater interest in both the natural and cultural diversity of the planet. For more information on Schulz and his photography, visit www.visionsofthewild.com. Stan Senner is executive director and vice president of Audubon Alaska. He has more than thirty years of experience in ornithology and in the fields of natural resources and wildlife conservation policy. Senner served as the science coordinator for the Anchorage-based Exxon Valdez Oil Spill Trustee Council. Stan Senner contributed "Landscape of the Future?" to Arctic Wings: Birds of the Arctic National Wildlife Refuge (Braided River, 2006). Cynthia D. Shogan is the executive director of Alaska Wilderness League, which works to further the protection of Alaska’s incomparable natural endowment through legislative and administrative activities, public education, and grassroots activism. In 2002, Alaska Wilderness League was one of seven organizations to receive the inaugural Leadership Award from the Natural Resources Council of America for the environmental community’s campaign to protect the Arctic National Wildlife Refuge. Shogan received the Wilburforce Foundation’s Conservation Leadership Award in 2003. Cindy Shogan contributed "Birders in the Scope" to Arctic Wings: Birds of the Arctic National Wildlife Refuge (Braided River, 2006). Conservation photographer and author Dave Showalter, an Associate Fellow with the International League of Conservation Photographers, focuses on the American West. His images and stories have been published in Wilderness, Outside, Outdoor Photographer, National Parks Magazine, High Country News, and other publications, books, and calendars. Dave’s award-winning first book Prairie Thunder: The Nature of Colorado’s Great Plains covers the shortgrass prairie of his home state. His 2015 Braided River title, Sage Spirit: The American West at a Crossroads, explores the beauty, ecological diversity, and human use of sagebrush country in the American West. Visit Dave’s website to learn more. Dave Shreffler is a professional photographer and a restoration ecologist. He received the Olympic Peninsula Audubon Society's 2007 Conservation Award for his work in salmon habitat restoration. Thanks to his friendship with Tom Campion, a tireless Arctic champion, Dave has photographed extensively in the Arctic National Wildlife Refuge, Gates of the Arctic National Park, and the National Petroleum Reserve-Alaska over five extended visits to the Arctic. Dave’s Arctic photos have appeared in: Striking a Balance in America’s Western Arctic: The National Petroleum Reserve-Alaska; America’s Unknown Treasure: National Petroleum Reserve-Alaska; and The Quiet World: Saving Alaska’s Wilderness Kingdom, 1879-1960. He is the author of Equatorial Crossings (Trevelrie Publishing, 2003). Dave lives with his wife and daughter in the foothills bordering on Olympic National Park. David Allen Sibley, son of the well-known ornithologist Fred Sibley, began seriously watching and drawing birds in 1969, at age seven. He has written and illustrated articles on bird identification for many regional and national publications, as well as several books. Since 1980 Sibley has traveled throughout North America in search of birds, both on his own and as a leader of birdwatching tours, and has lived in California, Arizona, Texas, Florida, Georgia, New York, Connecticut, and New Jersey. This intensive travel and bird study culminated in the publication of his comprehensive guide to bird identification—National Audubon Society, The Sibley Guide to Birds—in the fall of 2000, and the companion volume—National Audubon Society, The Sibley Guide to Bird Life and Behavior—in the fall of 2001. Sibley now lives in Concord, Massachusetts, where he continues to study and draw birds. David Sibley contributed "Visiting the Birds at their Summer Home" to Arctic National Wildlife Refuge: Seasons of Life and Land (Braided River, 2003) and the introduction to Arctic Wings: Birds of the Arctic National Wildlife Refuge (Braided River, 2006). To view his artwork, visit www.sibleyguides.com. Martyn Stewart is an audio-naturalist specializing in location and field recordings. Much of his work is used in natural history documentaries, many of which have been broadcast on BBC television and radio. He had also recorded several CDs, including one for Birdsongs of the Pacific Northwest (The Mountaineers Books, 2006). 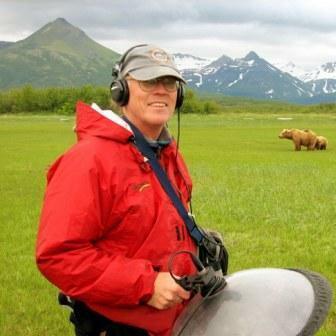 In 2006, he was a member of the Wild Sanctuary research team for the Arctic SoundScape Project in Arctic National Wildlife Refuge, and in 2007, he was a member of the Wild Sanctuary research team for the Katmai National Park Project, also in Alaska. He and his wife live in Redmond, Washington. Martyn Stewart contributed a CD of birdsongs from the Arctic Wings: Birds of the Arctic National Wildlife Refuge (Braided River, 2006). To listen to more of his work, click here. 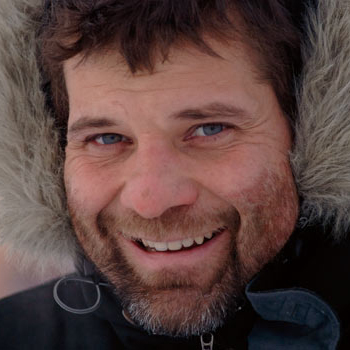 Dr. Ian Stirling is a celebrated polar bear, seal, and marine ecosystem researcher with the Canadian Wildlife Service. He is adjunct professor of Zoology at the University of Alberta, Edmonton, and the author of Polar Bears, Bears: a Complete Guide to Every Species, and numerous academic papers. Dr. Stirling is an essayist for Planet Ice (Braided River, 2009). John Straley is a novelist, poet, and criminal defense investigator. His first book, The Woman Who Married a Bear, won the Private Eye Writers of America’s Shamus award for Best Firs P.I. Novel of 1992. His third book, The Music of What Happens won the Spotted Owl Award for Best Northwest Mystery in 1997. Cold Water Burning, Straley’s sixth book, was nominated for Best Hard Cover P.I Novel of 2001 by the Private Eye Writers of America. Straley’s poems have appeared in various journals including: Runes, The Alaska Quarterly Review, The Sonora Review, and The Seattle Times. His essay, “Wobblies in Alaska: Who Owns an Uncaught Fish?” was published in These United States: Leading American Writers On Their Place In the Union, edited by John Leonard. In 2006 Straley was appointed Alaska’s 12th Writer Laureate and he received an honorary doctorate from the University of Alaska, Fairbanks, in 2008. His most recent publications include the novel The Big Both Ways and his first collection of poems, The Rising and the Rain. David Suzuki, a highly acclaimed geneticist and environmental thinker, is the author of forty books, including The Sacred Balance: Rediscovering Our Place in Nature. 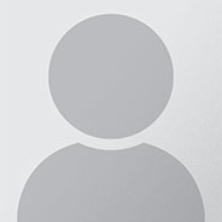 He has won numerous academic awards and holds sixteen honorary degrees in Canada, the United States, and Australia. Since 1979, he has been host of the Canadian television series The Nature of Things with David Suzuki, for which he has won four Gemini Awards. Recognized as a world leader in sustainable ecology, he is the recipient of UNESCO’s Kalinga Prize for Science, the United Nations Environment Program Medal, and the Global 500, an is a member of the Royal Society of Canada and the Order of Canada. He is founder and chair of the David Suzuki Foundation and is professor emeritus of the University of British Columbia, Sustainable Development Research Institute. He lives in Vancouver, British Columbia. Dr. Suzuki contributed the foreword to Yellowstone to Yukon: Freedom to Roam (Braided River, 2005). To learn more about him and the David Suzuki Foundation, visit www.davidsuzuki.org. Gary Tabor is currently Executive Director of the Center for Large Landscape Conservation. He was trained as a wildlife veterinarian and ecologist. 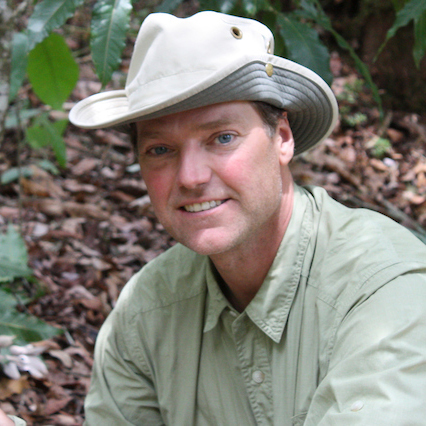 His career spans international and North American wildlife conservation domains, including seven years in East Africa and one year in South America. After helping to establish several protected areas abroad, Tabor was asked by his African colleagues to name any of his successes back home. This epiphany led to his catalytic involvement in helping to transform the Y2Y vision from theory to reality—first as associate director of the Henry P. Kendall Foundation in 1995, then as head of Wilburforce Foundation's Bozeman, Montana, office and its Yellowstone to Yukon Program. Gary is a Senior Fellow at the University of Montana Center for Natural Resources and Environmental Policy. He is Senior Advisor on Climate Adaptation for the Yellowstone to Yukon Conservation Initiative, and Co-founder of the Freedom to Roam Wildlife Corridor Initiative. Tabor contributed "Y2Y Today: Where We Are and Where We Go from Here"—with Harvey Locke—to Yellowstone to Yukon: Freedom to Roam (Braided River, 2005). Robert Thompson is an Iñupiat Eskimo wildlife guide who lives on Barter Island, beyond the coastal plain of the Arctic National Wildlife Refuge. In addition to guiding, he enjoys hunting, dog mushing, carving ivory, and woodcrafts. He is also an excellent camp cook and storyteller of local history. Thompson has been invited to speak across the nation about the Arctic National Wildlife Refuge. Robert Thompson contributed "Cultural Reflections" to Arctic Wings: Birds of the Arctic National Wildlife Refuge (Braided River, 2006). From his tree-top studio, high above the Tongass Narrows in rainswept Ketchikan Alaska, Ray Troll draws and paints fishy images that migrate into museums, books, and magazines. Basing his quirky, aquatic images on the latest scientific discoveries, Troll brings a street-smart sensibility to the worlds of ichthyology and paleontology. Troll's unique blend of art and science has culminated in two traveling exhibits and several books, including three with author Brad Matsen—Shocking Fish Tales, Planet Ocean, and Raptors, Fossils, Fins, and Fangs—and Life's a Fish and then You Fry by Chef Randy Bayliss. Troll also wrote and illustrated a children’s book titled Sharkabet: A Sea of Sharks From A to Z. He and his wife, Michelle, own and operate the SOHO COHO Contemporary Art and Craft Gallery, which is located on a spawning stream in the former red light district of Ketchikan. The gallery features Troll’s artwork, t-shirts, and fish juju, as well as original artwork by other local artists. Over the years Ray has done artwork for various conservation organizations including the Sierra Club, Greenpeace, and the Southeast Alaska Conservation Council. Ray Troll is a contributing illustrator to Salmon in the Trees: Life in the Tongass Rainforest (Braided River, 2010). To view his work, visit www.trollart.com. Gerrit Vyn is a Seattle based conservation photographer and natural history film producer for the Cornell Lab of Ornithology. He is deeply committed to producing media in direct support of conservation initiatives and has a special concern for Arctic wildlife and Alaska. Recent assignments have included documenting the last remaining Spoon-billed Sandpipers in the Russian Far-east and Myanmar and the effects of the Deepwater Horizon oil spill on Louisiana’s wildlife. Vyn was the primary image provider for the 2009 and 2011 State of the Birds reports that were delivered to the Obama administration and congress by a coalition of leading environmental organizations. His work has been featured on NPR’s Morning Edition, Living on Earth and Birdnote. He is an affiliate of the International League of Conservation Photographers (iLCP). For more information, visit www.gerritvynphoto.com. Terry Tempest Williams is the author of over a dozen books on our relationship to place. Her books include Refuge, An Unspoken Hunger, and Leap. In 2006, Williams received the Robert Marshall Award from The Wilderness Society, their highest honor given to an American citizen. She also received the Distinguished Achievement Award from the Western American Literature Association and the Wallace Stegner Award given by The Center for the American West. She is the recipient of a Lannan Literary Fellowship and a John Simon Guggenheim Fellowship in creative nonfiction. Terry Tempest Williams is currently the Annie Clark Tanner Scholar in Environmental Humanities at the University of Utah. Her writing has appeared in The New Yorker, The New York Times, Orion Magazine, and numerous anthologies worldwide as a crucial voice for ecological consciousness and social change. She divides her time between Castle Valley, Utah, and Moose, Wyoming, where her husband Brooke Williams is the executive director of The Murie Center. Williams contributed a poem, "Wild Mercy," to Arctic National Wildlife Refuge: Seasons of Life and Land (Braided River, 2003). For more on her work, click here. Wilson contributed photographs and an essay-"Where the Rivers Flow North"-to Arctic Wings: Birds of the Arctic National Wildlife Refuge (Braided River, 2006). For more on his work, visit www.eyesonowls.com. Charles Wohlforth, a lifelong Alaska resident, is the author of several books and numerous magazine articles for publications such as The New Republic, Outside, and National Wildlife. He was the lead reporter on the Exxon Valdez oil spill for the Anchorage Daily News. He also served on the Anchorage Assembly from 1993 to 1999, representing the downtown area. Wohlforth's most recent book, The Whale and the Supercomputer: On the Northern Front of Climate Change, explores Arctic climate change from the perspective of Eskimo whalers and scientific researchers in Barrow, Alaska. It won the Los Angeles Times Book Prize for the best science and technology book in 2005. Library Journal also listed it as among the best books of 2004. Wohlforth contributed "On Thin Ice: Polar Bears in the Changing Arctic" to The Last Polar Bear: Facing the Truth of a Warming World (Braided River, 2008). For more on his work, visit www.wohlforth.net. Rosita Worl is the president of the Sealaska Heritage Institute, a member of the Alaska Federation of Natives board, and a teacher at the University of Alaska–Southeast. She has served on the board of Sealaska—a Southeast Alaskan Native corporation—since 1987, and is the current vice chair of the board. Worl, whose Tlingít names are Yeidiklats'akw and Kaa haní, is an Eagle of the Shungukeidí (Thunderbird) Clan from the Kaawdliyaayi Hit (House Lowered from the Sun) of Klukwan and a Lukaax.ádi yadi (Child of the Sockeye Clan). Dr. Worl is an essayist for Salmon in the Trees: Life in the Tongass Rainforest (Braided River, 2010). Dr. Steve Zack is Coordinator of Bird Conservation for the Wildlife Conservation Society (WCS). Steve joined WCS in 1997 and has led studies of wildlife for conservation in Arctic Alaska since 2001, with emphasis on protecting Special Areas in the National Petroleum Reserve – Alaska. He is engaged in the conservation of Great Plains grassland birds, and has done extensive studies of birds in Kenya, Venezuela, Madagascar, and in the western United States. In recent years, Steve has led projects that evaluated forest management with fire and wildlife responses, and riparian restoration and wildlife response. He was on the Biology faculty at Yale University prior to joining WCS in 1998. He lives in Portland, Oregon, and migrates with the birds to his various projects.